For all IRt/c adjustable models an Aperture Kit is provided to offer the ability to extend the target temperature range, improve the adjustment sensitivity of the adjustment potentiometer, and reduce the minimum spot size to as small as 1/4 in. (6 mm). The kit consists of one 1/2 in. (13 mm) and one 1/4 in. (6 mm) stainless steel apertures and two retaining rings. 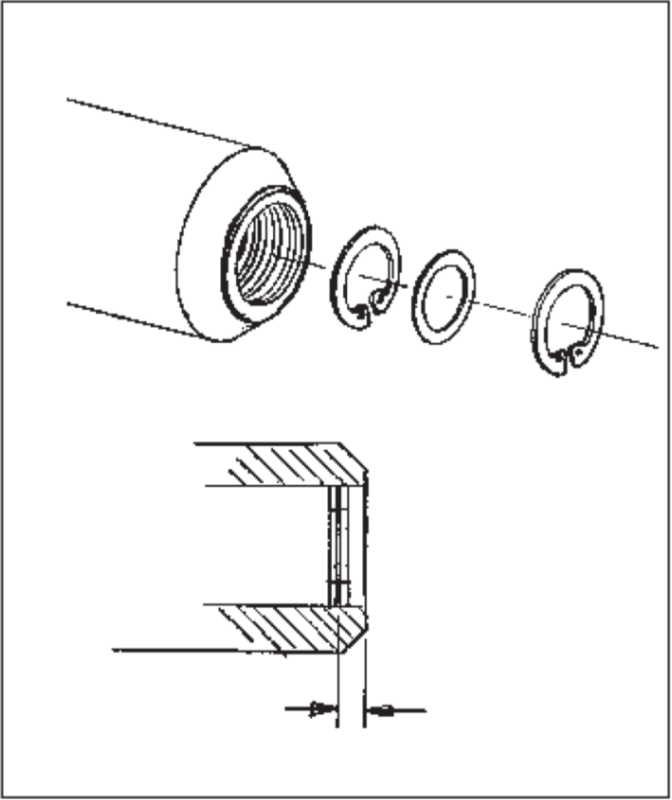 The apertures and retainers are installed as shown, taking care that the retainers sit and lock between the internal threads. The precise axial location is not critical. Install only one aperture, based on the requirements of your application. target temperature before burn-out. In addition, since less signal is produced at a given temperature, the adjustment will be less “tweaky” when calibrating the IRt/c installation. 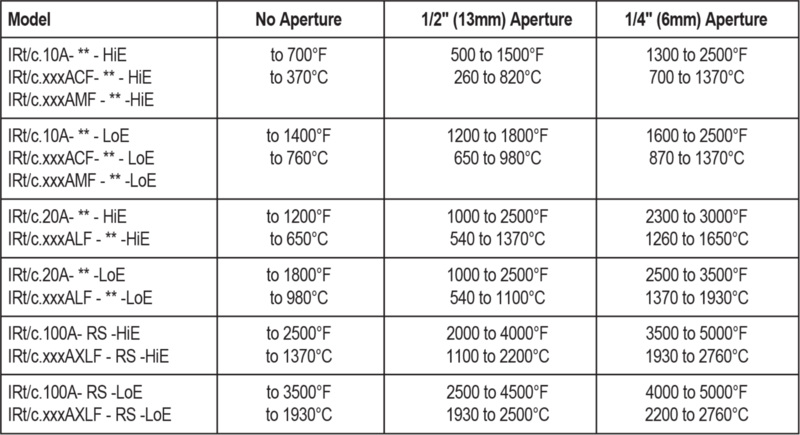 The table below lists the range of temperatures for each model recommended with and without the apertures. These recommendations are approximate, since the actual signal level will depend on the actual target characteristics (emissivity, etc.). If there is insufficient adjustment range available with the small aperture installed, simply replace it with the large one, or remove it. If the adjustment is too sensitive, install an aperture. Use the table below to set up your installation initially, to make sure that the IRt/c is not damaged by excessive radiation, then adjust up or down as required to meet your calibration requirements. The ranges below assume that you are using the technique described in Tech Note #70 or an equivalent calibration method.